CDR Yamaha’s Dean Ferris led a 1-2 for the team at Avalon Raceway’s fourth round of the 2016 Australian Supercross Championship after defeating teammate Dan Reardon for victory in the 20-lap main event. It was defending champion Reardon who led the early stages, however Ferris worked his way to the front and eventually won by 3.984s over Reardon and top American Wil Hahn (National Pump Monster Energy Kawasaki). The result finally saw points leader Justin Brayton’s (Honda Genuine Racing) win-streak broken, as he finished in fourth despite going down in a first corner incident, and edged his way by fast-starting ex-champion Jay Marmont (MXR&D Husqvarna) in the final laps. Sixth was Jesse Dobson (KTM Motocross Racing Team) as he held Kade Mosig (National Pump Monster Energy Kawasaki) at bay after he went down earlier, while Cheyne Boyd’s (Park4MX Yamaha) return resulted in eight – the final rider still on the lead lap. Ninth belonged to Lawson Bopping (DPH Motorsport Yamaha), while Jay Wilson (Crankt Protein Honda Racing) got the better of US imports Adam Enticknap (Honda Genuine Racing) and Chris Alldredge (Crankt Protein Honda Racing) to round out the top 10. KTM Motocross Racing Team’s Kyle Peters was a non-finisher after going down in the back-half of the race. With just two rounds remaining across next weekend’s AUS-X Open in Sydney, Brayton’s advantage has been reduced to 11 over Ferris, with Hahn 17 and Reardon 19 markers outside entering rounds five and six. 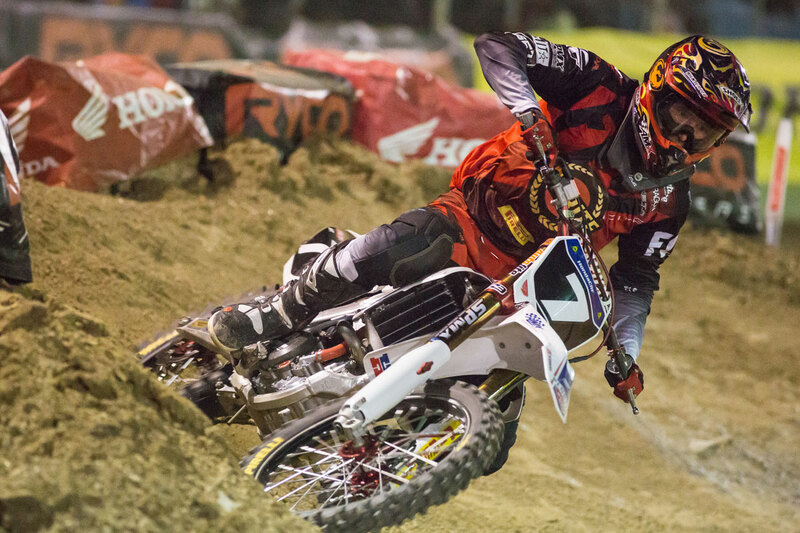 Faith keeps SX2 title hopes alive by taking the Melbourne round win. It was a perfect result for Penrite Honda Racing’s Gavin Faith in the SX2 final, as the Australian oil brand celebrated its 90th anniversary with a special retro livery at Avalon tonight. The American took control from early leader Jackson Richardson (Serco Yamaha) in the first half of the race and was never headed, as Richardson was on the podium once again with the runner-up position. 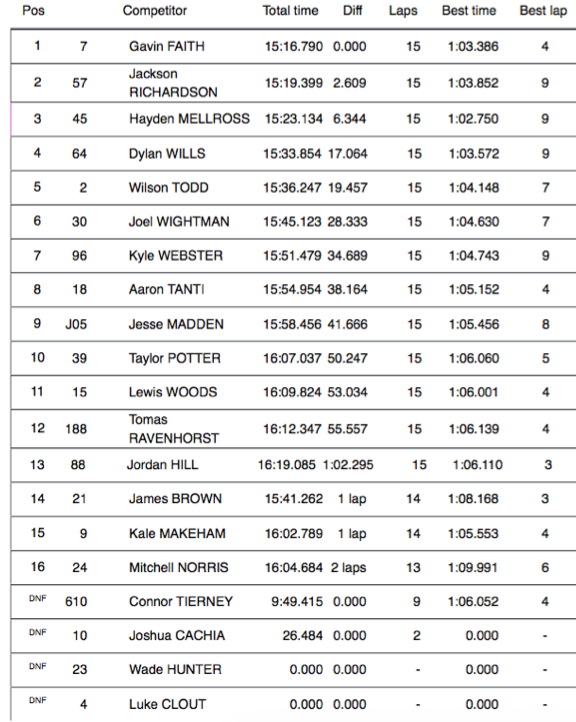 A late move from Hayden Mellross (DPH Motorsport Yamaha) past Dylan Wills (Raceline Pirelli KTM) bumped him up to the podium and they’d go on to finish in that order, while rookie Wilson Todd (Serco Yamaha) had a fine ride to fifth. 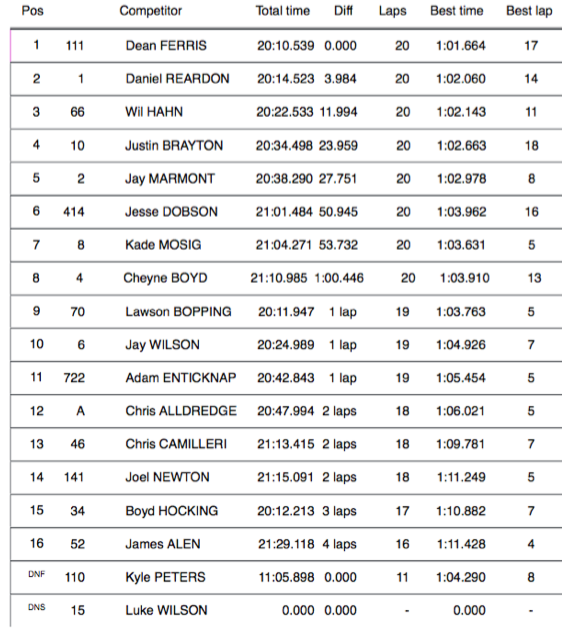 The sixth to 10th places were occupied by CRF Honda Racing teammates Joel Wightman and Kyle Webster, Aaron Tanti (BBR Yamaha), Jesse Madden (Raceline Pirelli KTM) and Taylor Potter (Honda) in his return to the series. Disaster struck early in the race for Luke Clout (Honda Genuine Racing) as he crashed out in the first turn, before Wade Hunter (Serco Yamaha) did likewise also on the opening lap. Mellross remains the championship leader by eight points from Richardson, while Faith climbs to third, but is 17 points outside of another championship before Sydney’s finals on 12-13 November alongside the AUS-X Open. TBA (awaiting publishing from official timing).